ὅσα ἠκούσαμεν γενόμενα εἰς τὴν Καφαρναοὺμ ποίησον καὶ ὧδε ἐν τῇ πατρίδι σου. որչափ լուա́ք զոր արարեր ի կափառնաւում. արա եւ ա́ստ ի քում գաւառի։. რავდენი გუესმა საქმე კაფარნაომს, ქმენ აქაცა, მამულსა შენსა! 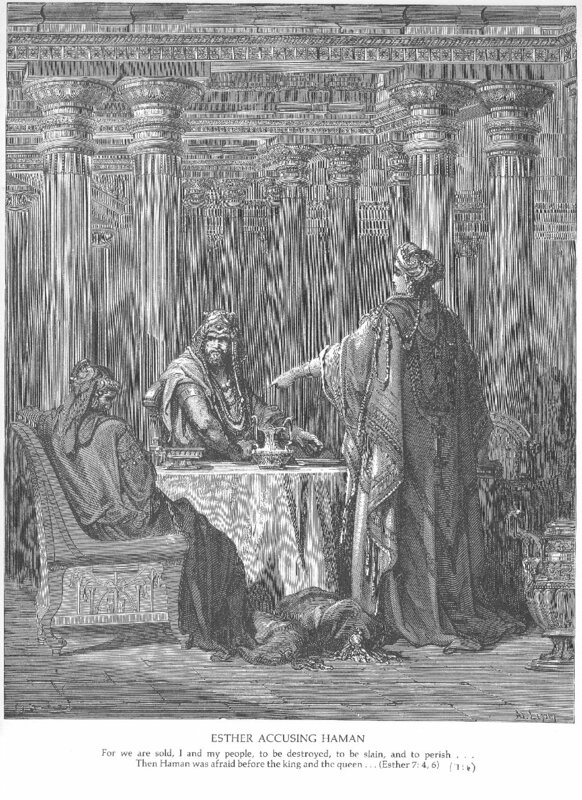 The book of Esther in the Greek Bible is known not only for having six parts that do not correspond to anything in the Masoretic text, but also for having two distinct versions, the “LXX” or “Old Greek” version and the “alpha text”. For some details, including edition history, see D.J.A. Clines, The Esther Scroll, chapters 6, 7, and the appendix, parts of which should be available for some people, at least, here. See also Swete, Introduction to the Old Testament in Greek, pp. 257-259, and T.M. Law, When God Spoke Greek, pp. 63-64. Hanhart’s Göttingen edition of Esther includes both texts, as do the Cambridge Septuagint and Lagarde, Librorum veteris testamenti canonicorum pars prior graece. The NETS English version of both texts is available here. I had not read any of Esther in Georgian until recently and when comparing the Georgian text of the Mcxeta Bible with the two Greek versions I was struck by how much this Georgian version is an amalgamation of the two Greek texts: it follows neither absolutely. Before any conclusion about this can be reached, the entire book must be studied, of course, alongside the Greek texts and the thick apparatūs critici of the aforementioned editions, as well as the Armenian version. But for now, we can confirm that at least for this passage, the Georgian version was not based on a text cleanly and simply like either the LXX Esther or the alpha-text Esther, but it shows features of both. Indeed, a color-coded edition — one much simpler than that recently executed for Faulkner’s Sound and the Fury; see also here and here — would show how apparently amalgamated this Georgian translation is. Here, accompanied by some notes for vocabulary and grammar, is the text from TITUS, but with two places that seem to need correction in verse 7: ახლდნა > ახლდა and ევედრებთდა > ევედრებოდა. 7 და ზე ახლდა სმისაგან, განვიდა მტილად. ხოლო ამანს შეეშინა და შეუვრდა ფერჴთა დედოფლისათა. და დავარდა ცხედარსა მისსა ზედა. და ევედრებოდა დედოფალსა, რამეთუ ჰხედვიდა თავსა თჳსსა ბოროტსა შინა. 9 და თქუა ბუგათან, ერთმან მონათგანმან მისმან, საჭურისმან: აჰა, ძელი ეზოსა შინა მისსა, რომელი მომზადა ამან ერგასის წყრთა, რამეთუ მოეკვეთა იგი, რათა აღაგოს მარდოქე, რომელი იტყოდა მეფისათჳს კეთილსა. და თქუა მეფემან: დამოჰკიდეთ იგი მას! *On the following sentence, see the note below. **For წარიჴადა მეფემან ბეჭედი თჳსი ჴელისაგან მისისა, cf. Gen 41:42. 5 καὶ ἐφοβήθησαν οἱ ναυτικοὶ καὶ ἀνεβόων ἕκαστος πρὸς τὸν θεὸν αὐτῶν καὶ ἐκβολὴν ἐποιήσαντο τῶν σκευῶν τῶν ἐν τῷ πλοίῳ εἰς τὴν θάλασσαν τοῦ κουφισθῆναι ἀπ᾽ αὐτῶν· Ιωνας δὲ κατέβη εἰς τὴν κοίλην τοῦ πλοίου καὶ ἐκάθευδεν καὶ ἔρρεγχεν. ხოლო იონა შთავიდა უბესა მის ნავისასა, და ეძინა, და ხურინვიდა. 6 καὶ προσῆλθεν πρὸς αὐτὸν ὁ πρωρεὺς καὶ εἶπεν αὐτῷ Τί σὺ ῥέγχεις; ἀνάστα καὶ ἐπικαλοῦ τὸν θεόν σου, ὅπως διασώσῃ ὁ θεὸς ἡμᾶς καὶ μὴ ἀπολώμεθα. გჳჴსნნეს ხოლო თუ ღმერთმან, და არა წარვწყმდეთ.